A new booster pack for Magic: The Gathering is releasing in New Zealand with new digital content for Magic: The Gathering Arena. It was revealed today that the upcoming Dominaria booster pack for the trading card strategy game Magic: The Gathering will feature a new digital code system for consumers. Players who purchase the pack will be given codes to access the closed beta of Wizards of the Coast’s latest digital card game, Magic: The Gathering Arena. The codes will also give new players a random assortment of in-game items. This new method is being put to trial in New Zealand when the pack releases on April 27 but has potential to become a worldwide release. Wizards of the Coast also announced that Magic: The Gathering Arena will be releasing in China, Thailand, Vietnam, Indonesia, Philippines, Malaysia, Singapore, Myanmar, Cambodia, Laos, and Brunei. The Asia release of Magic: The Gathering Arena is thanks to the newly formed partnership between Wizards of the Coast and China’s leading internet provider, Tencent. 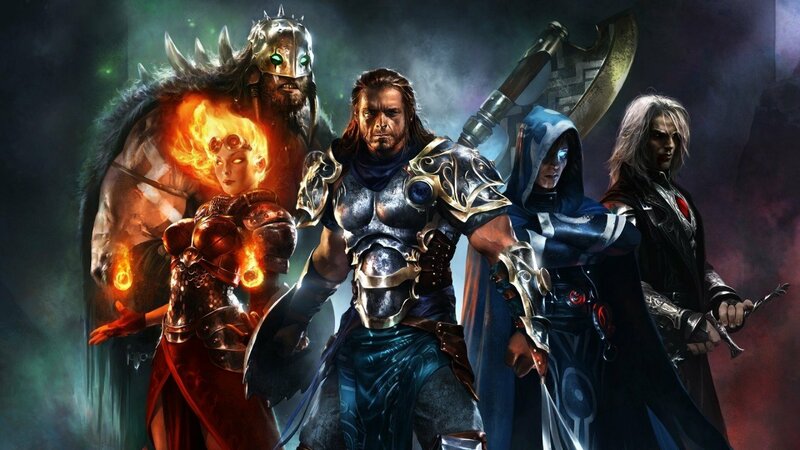 Magic: The Gathering Arena will be the first-ever game to be published by Tencent. In addition, the two companies plan to one day bring future game titles to China. “Magic: The Gathering is a legendary game and has had a huge influence on culture and industry. We are thrilled to bring this amazing experience to players in Asia and look forward to helping expand its global community,” said Steven Ma, Senior Vice President of Tencent’s Interactive Entertainment Group. Magic: The Gathering Arena is a new digital take on the traditional Magic: The Gathering game. Developed inhouse by Wizards of the Coast, Magic: the Gathering Arena is designed to suit digital gamers without sacrificing any of the core gameplay elements in the physical version. Currently, the closed beta is accessible via invite-only for anyone living outside of New Zealand. Magic: The Gathering Arena is currently planned for a PC release with the potential to release on other platforms in the future. We’ve reached out to Wizards of the Coast for comment on the upcoming Dominaria pack and will update after getting a response.